I had a fabulous birthday yesterday. I spent the day relaxing which included getting a manicure and pedicure. 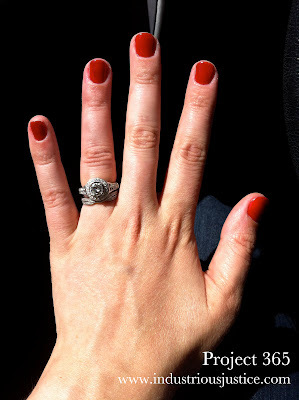 (This was my first gel manicure and I don't think I could ever go back to a regular one.) My day was wrapped up with a delicious dinner with my honey and karaoke with friends. Perfect.